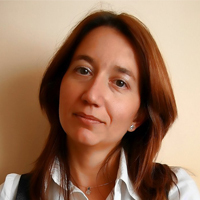 Desislava Dimitrova has been involved in IT project management for nearly 10 years. At David Holding the focus of her work is mainly on delivering software solutions and services for the state and municipal administration and also the banking and the insurance sector. As a project manager Desislava Dimitrova participates in a number of key projects that have national importance. Since 2014 she is a product manager who is being involved in intelligent infrastructure solutions. She has extensive experience in national and international conferences. Desislava Dimitrova holds a Master’s degree in Mathematics and Informatics from the University of Plovdiv and a Master of Accountancy and Control from Veliko Tarnovo University.